The Gym Certification Program recognizes member all star programs who meet the minimum requirements for accreditation as it pertains to standard of care in their All Star program. Profile must be complete and current. This includes all fields completed and current insurance certificate uploaded as well as program classification selected. Any and all persons, 18 and older, affiliated with your all star program who may come in contact with all star participants are required to have background check through the National Council for Safety Initiatives (NCSI). This includes both employees and volunteers in such positions as: owners, program directors, coaches, administrative and office staff, team “mom’s” or team managers, trainers, etc. Once the NCSI returns a Green Light determination for all employees and volunteers, you have met this requirement and may proceed with the application. For more information on the background check process click here. All coaches must successfully complete the Baseline Credentialing Requirements (3 ASEP courses plus the PCA: Double Goal Coach ® course). 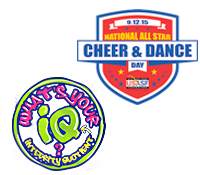 All cheer coaches must maintain current credentials to the highest level they coach in all applicable categories. NOTE: For coaches, both their Membership and their Credentials must be current (unexpired). CPR: All coaches must be trained and certified in a CPR. Their certification must be current (unexpired). First Aid: The gym must be fully covered during operational hours with staff members that have First Aid training and certification. Their certification must be current (unexpired). The program must have an Emergency Plan in place (see Emergency Plan section). Have a First Aid Kit that is easily accessible and well marked. It must include Chemical ICE Packs if real ice is not available. Have a Preparticipation Health Screening Policy in place (see Preparticipation Health Screening section). Have established Athlete Protection Policies and Protocol (see Athlete Protection Policies & Protocol section). Adopt and Implement the Positive Coaching Alliance/USASF Policy. Download the SafeSport Handbook from safesport.org. The overarching goal in performing a preparticipation physical evaluation (PPE) is to promote the health and safety of the athlete in training and competition. The PPE provides the medical background on which physical activity decisions will be made by the individual athlete’s physician or the team physician and associated medical staff. The American Academy of Family Physicians, American Academy of Pediatrics, American College of Sports Medicine, American Medical Society for Sports Medicine, American Orthopaedic Society for Sports Medicine, and American Osteopathic Academy of Sports developed the PPE Monograph that provides a detailed description of goals, objectives, timing, setting, and structure of the exam; details the history, physical examination, and clearance considerations; lists return-to-play guidelines; addresses medicolegal and ethical concerns; and explores future research and the use of electronic formats. Practice area that is, at minimum, 42’x42’ with carpet bonded foam (1.375”) surface. (For those facilities offering cheer. Does not apply to dance only facilities). Ceiling heights needs to be at a level to permit safe unobstructed execution of skills, without alteration or modification of skill. All poles and building supports should not be in direct interference with normal practice/training operations. All structures or training equipment that are a risk of collision during practice/training should be appropriately padded with foam at least 1 ⅜ inch thickness. Mirrors (glass) should be mounted in a location that is does not permit collisions at least 6 feet from practice area. Mirrors (glass) should be mounted with a Mastic or another form of glue so to adhere to the wall if shattered. If not glued a mirror laminate should be used to prevent separation if shattered. The gym and practice areas need to be kept to a safe standard to prevent accidents and injury while limiting liability. All rules and guidelines concerning equipment use, practice and accessibility in detail and signature of acknowledgment suggested for waiver. During the application process you will be asked to upload 6 attachments. An app that we find works particularly well is TurboScan. There is a small fee ($1.99 or $2.99) for it, but it is worth every penny. Applicants will create a video taking us on a Virtual Tour of your training areas. NOTE: Using the camera on a smartphone or tablet will provide a decent quality video. We are not looking for any production value. We simply need the video footage provided above. Upload your video to YouTube. You can adjust the privacy so that only people with a link can see it. You will need this link when filling out the online application. Complete ALL FIELDS and upload all required attachments. NOTE: Incomplete applications will be deleted from the system and you will be required to complete a new application and re-submit all items. Your application will be submitted to your regional director using the link above. DO NOT EMAIL the attachments! Once it has been received and reviewed, your regional director will set an appointment to discuss your application and ask questions pertaining to your operations and practices. Applicants that meet the minimum requirements will be recognized as a certified all star gym. Certification status will run concurrent with the membership term. Certified gyms will receive a banner and be listed on the USASF.net website. Certified gyms will be eligible to complete a renewal application annually if their certification status has not lapsed. If a certified gym does not renew their certified gym status the following season, they will be required to complete the initial application for reinstatement.